Packaging Details: Sterile Individually Packed / Packed in Corrugated Box. With our in-depth knowledge and experience, we are engaged in offering a wide array of Trypan Blue Ophthalmic Solution. The offered ophthalmic solutions are checked under the supervision of our quality experts against the exquisite parameters of quality in order to ensure its quality. 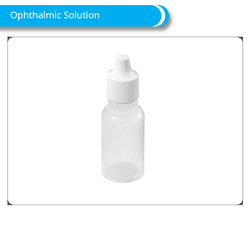 These ophthalmic solutions are highly demanded in the market for their purity & best usage. We are engaged in offering a vast assortment of Hydroxypropyl Methyl Cellulose Solution USP. These solutions are processed by employing quality chemicals under strict guidelines in order to maintain its universally accepted norms. The offered solutions are acclaimed for their quality & provided as per the need of customers. 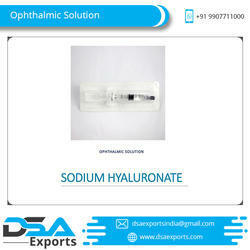 We are actively engaged in offering Sodium Hyaluronate Ophthalmic Solution that increased protection to corneal endothelium, these ophthalmic solutions are processed by using quality ingredients keeping in mind the quality norms. 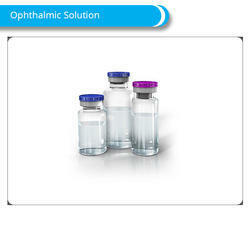 Our ophthalmic solutions are highly known for its effectiveness & purity. Offered ophthalmic solutions can be purchased from us at reasonable rates. Sterile, Non Pyrogenic Solution, Fast Action, Rapid Miosis, Flip Off Seals on vials, 1 ml volume. 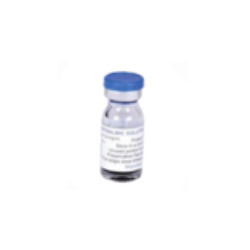 Trypan Blue Solution safely stains the anterior lens capsule and is mainly used in the cataract surgery. The most remarkable feature of this solution is that it stains the anterior capsule without damaging the corneal endothelium. 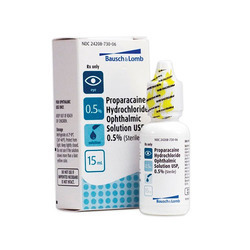 It facilitates several surgical procedures for cataract extraction (IOL surgery and phacosurgery) and acts as a staining agent. It is not advised to hypersensitive patients that are allergic to dyes or any other components. It is stored at a temperature between 15 degree Celsius to 35 degree Celsius with a humidity less than 65% and do not let the product freeze. This comprises of 2% of hydroxypropyl methylcellulose solution. 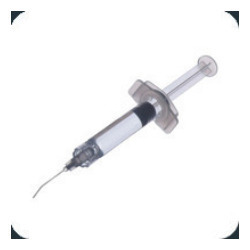 The ophthalmic viscosurgical device is an isotonic, a sterile and an apyrogenic viscoelastic solution of highly purified, non-inflammatory hydroxyl propyl methy cellulose (hpmc) solution with high molecular weight which is greater than 80,000 daltons for intraocular use during the surgery of the anterior segment of the eye. For every 2% w/v hpmc solution of each ml solution provides 20 mg of viscoelastic HPMC that is dissolved in a balanced salt solution. The viscosity of the solution is 4000 to 5500 cps. OVD is used as an aid in the anterior segment surgical procedures like intraocular lens implantation and cataract extraction. The OVD creates a deep chamber facilitating efficient manipulation which significantly causes fewer traumas to corneal endothelium and ocular tissues. 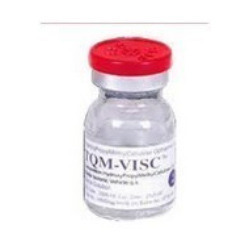 When OVD is used by a trained ophthalmic surgeon, there are almost no contraindications. Store it at a temperature between 15 degree Celsius and 35 degree Celsius in which the relative humidity is less than 65%. Protect it from freezing and do not expose the containers to direct sunlight. Looking for Ophthalmic Solutions ?